Ultrasonic Nebulizer, For Hospital and Clinic(SW918) - Shining World Health Care Co., Ltd. The ultrasonic sprayer generates high-frequency wave (ultrasonic wave)by electronic oscillation. By means of the crystal oscillator to beat the solution into tiny grains in mist before delivering the mist along the expansion-wave-hose to the patients. The spray deals with an existing and effective cure to the respiratory organs where high frequency wave nebulize the solution into tiny grains that are able to penetrate into the upper and lower respiratory system. The mist and respiratory system are duly combined for optimal heal apt for chronic bronchitis, bronchial asthma, bronchial pneumonia, bronchitis, emphysema, rhinitis, nasal sinusitis, laryngopharyngitis, tracheitis. Please follow the instructions of physicians and the suggested cure procedure. 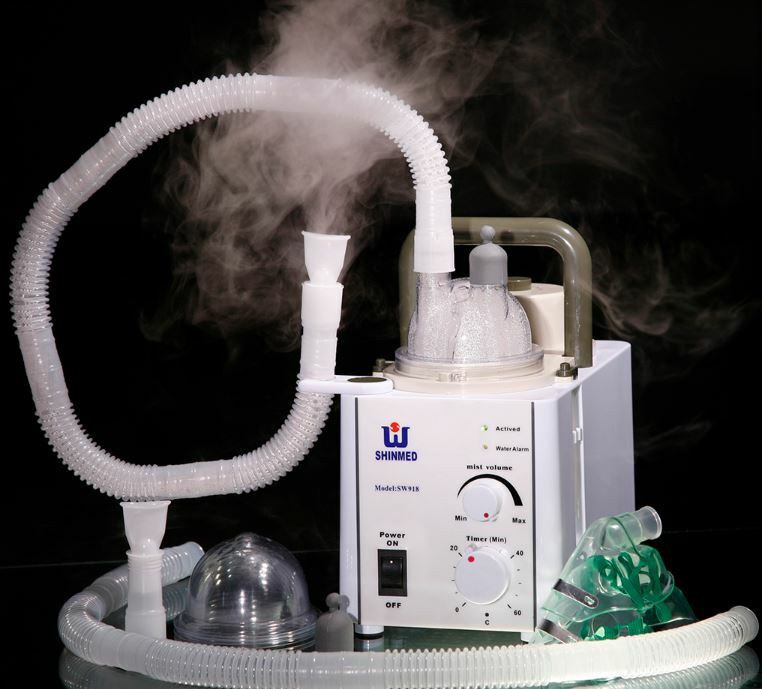 Ultrasonic Nebulizer for Hospital use.